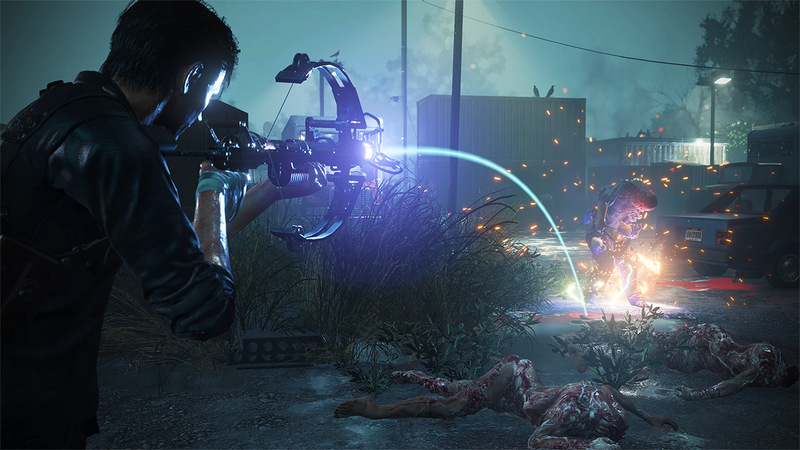 The Evil Within 2 doesn't quite manage to step out of the first game's shadow - but while it may not have the same bold, unified style, you won't have to worry about frustrating mechanics or enraging difficulty spikes. If you've got a soft spot for the original game in your survival horror-loving heart, you'll surely enjoy this sequel (and get a kick out of the many callbacks to the previous plotline). The Evil Within 2 is good old-fashioned survival horror with a little bit of an open-world bent, and it works beautifully. It’s tense, it’s scary, it’s exciting, it’s absorbing – it’s everything I hoped it would be and more. If you want something horrifying to play this Halloween, make sure it’s The Evil Within 2. The Evil Within 2 is just like its predecessor: a mixed bag. While it had the potential to be something absolutely brilliant, Tango Gameworks has attempted to both cram too much in and offer too little at the same time. It’s at its best when its following the same structure as the original; its linear campaign offers far more content and polish than its barebones open world and has obviously had a lot more effort poured into it. If you’re a horror buff, you’ll likely be disappointed because there aren’t that many unique monsters in the game. It’s not even scary, to be honest; most of the tension and fear comes from the lack of ammo. All in all, it’s not a bad game, but it’s not a great game either. You’ll probably have fun shooting the zombies and checking out the occasionally cool surreal locales, but that’s it. 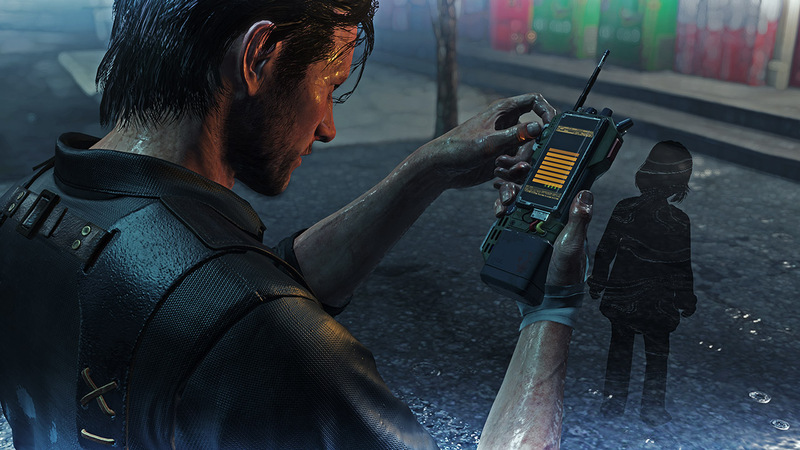 Bringing with it some of the best parts of ResidentEvil and Silent Hill, The Evil Within 2 does a lot of things right. The amount of depth in the game’s story is worthy of an applause and there’s a lot of fun to be had with the intense, sweat-inducing gameplay. The Evil Within 2 is a must play for horror fans thanks to its moving plot, sandbox gameplay, and nightmare-ish world and is an essential purchase for this Halloween. 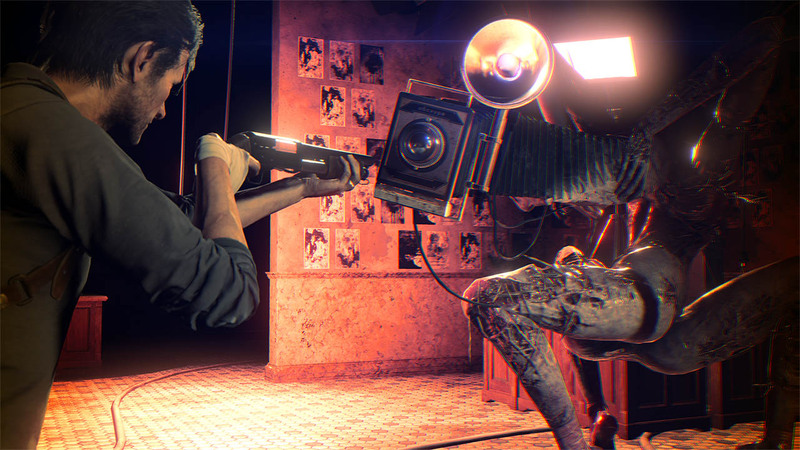 Evil Within 2 is how a sequel should be constructed. Everything about it feels like an improvement upon its predecessor. I had more fun digging into this 15-20 hour adventure, and would even consider replaying if not for so many other titles vying for my precious time. The genre is still poorly represented in the gaming community, so when a solid survival horror game emerges, it is best not to miss the opportunity to check it out. Coming in at a lengthy and surprisingly packed 15-hour campaign, the sequel does an admirable job of ratcheting up the tension and scares when it needs to, while also giving you the freedom to explore and proceed how you want. It's a tough thing to balance, but The Evil Within 2 does it remarkably well, and in a way that leaves a strong and lasting impression after its touching conclusion. A deeper RPG-esque upgrade system bolsters this, as by collecting both green and red gel from throughout the world, the former obtained by defeating enemies and the latter by exploring, you can make Castellanos better by purchasing skills in five different categories: Combat, Stealth, Recovery, Athleticism, and Health. It’s a thrill ride quite unlike any other, and as a survival horror release it will leave you shaking or at the very least on the verge of needing a nice long vacation. Perhaps in a more pleasant digital landscape. At least, one not controlled by an evil corporation hell bent on absorbing everything that makes you, well, you. Actually, that might be hard. Experience The Evil Within 2 and then take a real vacation. Because after playing through it, going to a real park or a real beach filled with real people has never sounded better. Creemos que la curva de dificultad (o al menos, los puntos de control) podría estar mejor ajustada para no hacer el inicio tan exigente y evitar que algunos jugadores puedan sentirse frustrados, pero en general es una aventura muy bien resuelta, que de verdad te da la sensación de ser una secuela, con muy buen ritmo, y que sabe encontrar el equilibrio entre lo lineal y lo abierto, el terror asiático y el occidental, y entre el survival horror moderno y clásico. No hay nada grave en The Evil Within 2, pero tampoco nada que brille especialmente. El resultado final es una secuela tan continuista en la historia como rupturista en sus dinámicas y en los caminos que recorremos circulando por sus arterias. Huele menos a cerrado y tiene menos de formulaico, no tanto porque descubra caminos inexplorados como porque logra diluir e integrar con más acierto los ingredientes que toma de otros juegos. The Evil Within 2 ist so gar nicht wie sein Vorgänger, denn durch die nur teilweise offene Welt mit dem relativ harmlosen Szenario und vielen abstrakten Passagen kommt kaum Survival-Horror-Feeling auf. In den ausschweifenden Ausflügen geht viel vom Gruselfaktor verloren, da Enge, Fokus und Bedrohung weitgehend fehlen. The Evil Within 2 kann unbarmherzig und gemein sein – und genau dafür kann ich es sehr gut leiden. Was sich nach einem eher ungesunden Verhältnis anhört, spricht eigentlich nur für ein Survival-Horror-Spiel. Manchmal ist The Evil Within 2 gruselig und manchmal blanker Horror. Cette suite ne cherche finalement pas à réinventer quoi que ce soit, mais plutôt à prolonger le travail effectué par Tango Sotftworks en matière d’équilibre entre la tension, l’horreur et les trouvailles visuelles chargées de véhiculer l’angoisse et la confusion dans l’esprit du joueur. Malgré d’évidents défauts, The Evil Within 2 parvient à s’imposer comme une bonne expérience anxiogène. Justement, par rapport à ce manque de finition, certaines absurdités peuvent surprendre en 2017 comme le fait de ne pas pouvoir passer par une fenêtre alors qu’il y a la place pour, ou encore des objets par-dessus lesquels on ne peut pas sauter. Mais le must demeure les exécutions à couvert qui ne se déclenchent pas. Reprendre au dernier checkpoint à cause de ça alors que l’on avait nettoyé tout le secteur, c’est un scandale. The Evil Within 2 reprend la formule du premier épisode avec du challenge, de l'infiltration et des combats à l'arme à feu, et y ajoute une bonne dose d'exploration dans une ville d'Union semi-ouverte. Ces nouvelles phases de liberté sont très réussies, représentent environ la moitié du jeu en termes de volume. 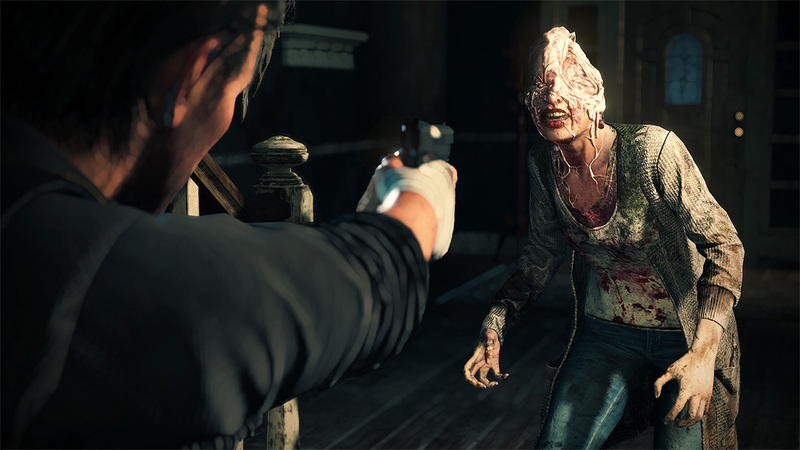 Nonostante sia macchiato da un paio di fasi sandbox poco convincenti, The Evil Within 2 è un prodotto solido e in grado di raggiungere anche punte di eccellenza. The Evil Within 2 — это не новое слово. Это компиляция всех жанровых наработок за последние лет пятнадцать. Превосходная и местами даже пугающая — а хоть немного жутких хорроров в индустрии мало. Получив больше творческой свободы от Синдзи Миками, авторы игры сделали главное: они сохранили фирменный шизофренический стиль оригинала и разбавили его собственным художественным окрасом. Теперь мы точно знаем, что в Tango Gameworks работают талантливые разработчики, а их творчество держится не на одних лишь идеях Миками. 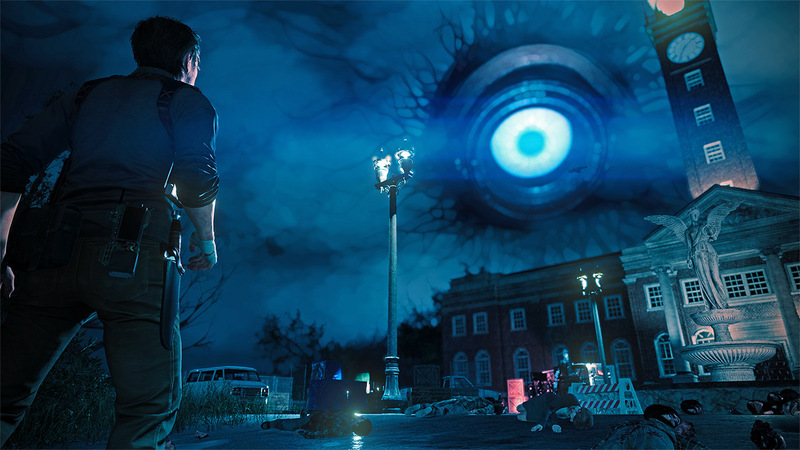 Sona geldiğimizde The Evil Within 2, ilk oyunun üzerine oldukça güzel bir hikaye ve dolu dolu içerikler ekleyerek oyuncuların karşısına çıkmış. Oyuncuyu anlık şaşırtma (jump scare) üzerine kurulu korku oyunlarından bezdiyseniz, sizi The Evil Within 2’nin baskın ve soğuk terler döktüren dünyasına davet ediyorum. 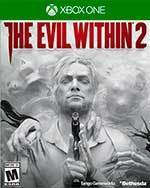 Ayrıca Resident Evil ve Silent Hill gibi korku oyunları ile büyümüş bir oyuncuysanız, The Evil Within 2’nin sizi az da olsa geçmişe götüreceğinden emin olabilirsiniz.